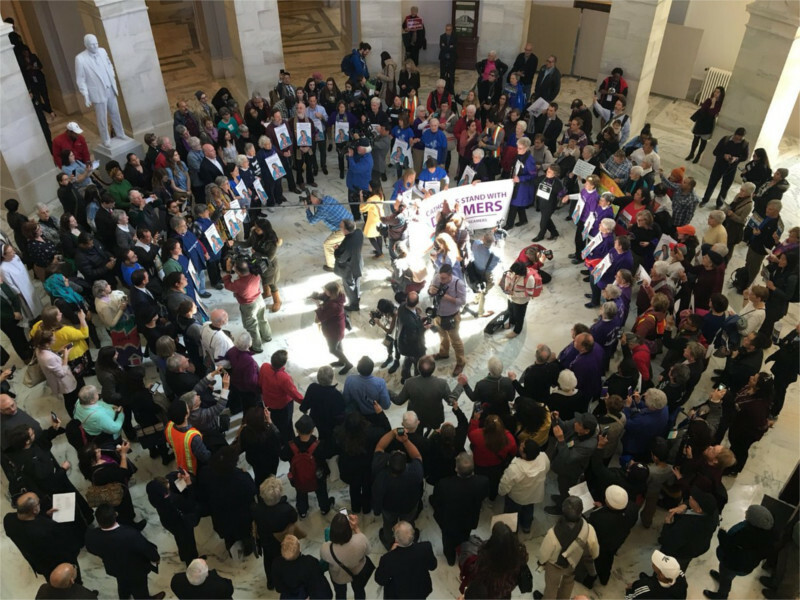 On the 27th of February, a Catholic group including many nuns took over the Russel Senate Office Building's rotunda, praying the Rosary and singing "Amazing Grace" in defiance of US Capitol Police. This led to many arrests. The protest was to demand that Congress pass a clean DREAM act to protect migrants brought to the US as children. On Feb 24th, Mike Cernovich and others associated with the Deploraball were back in DC. 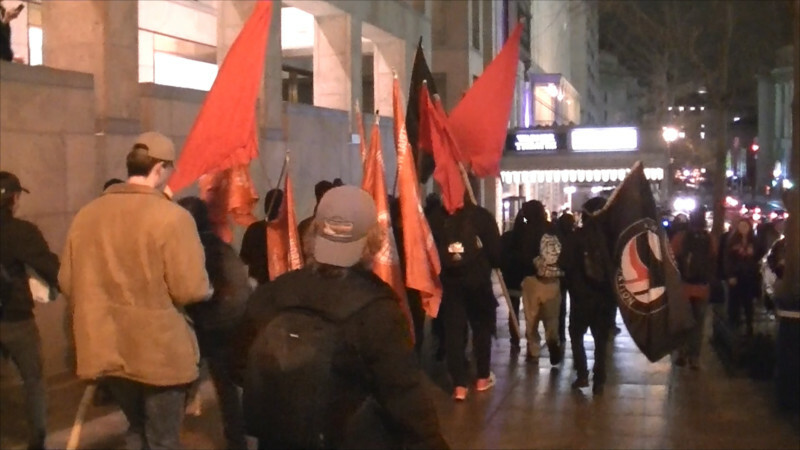 They held "A Night for Freedom DC" at The City Club of Washington just a block from the Deploraball site, running the gauntlet of loud anti-fascist protesters to get in and often being photographed. Attempts by the fascists to conceal their venue location ended in failure, with protesters descending on their party. Alex Rubenstein Video: antifascists take a knee NFL style as fascists sing "star spangled banner"
The Shortwave Report 02/23/18 Listen Globally! Read more about The Shortwave Report 02/23/18 Listen Globally! 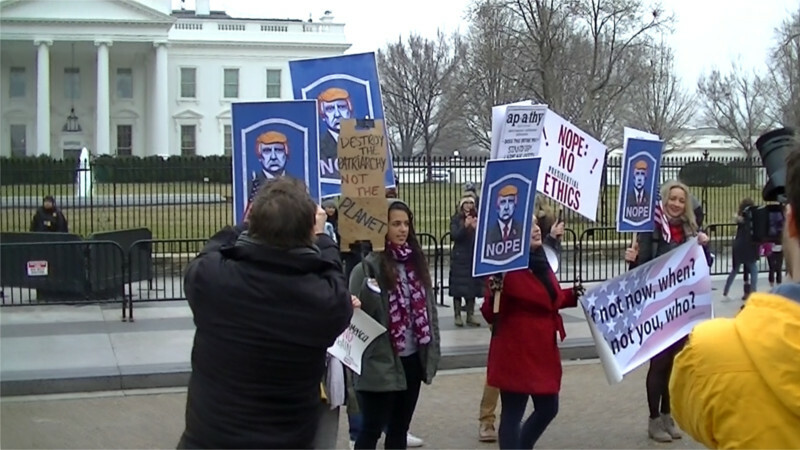 On Feb 19, a small crew of activists from St Louis and from Colorado marched on the White House to denounce Trump on what last year was "Not my President's Day." 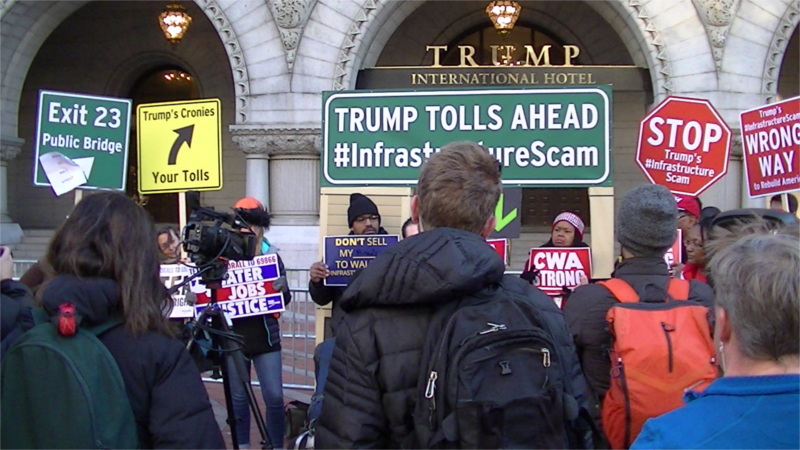 They were here to call out Donald Trump's utter lack of ethics as shown by the endless scandals surrounding his administration. 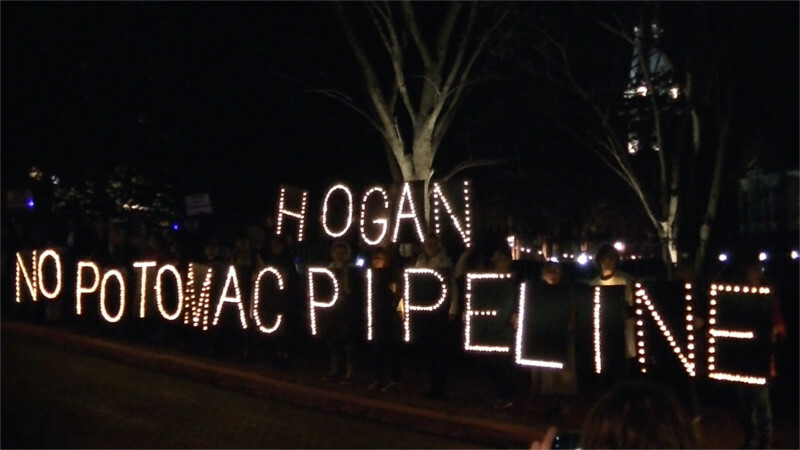 On the 15th of February, protesters opposing TransCanada's Eastern Panhandle Extension aka the Potomac Pipeline surrounded the MD Governor's Mansion in Annapolis. After a starting rally on Lawyer's Mall in front of the statehouse, protesters fanned out to surround the mansion. The Shortwave Report 02/16/18 Listen Globally! Read more about The Shortwave Report 02/16/18 Listen Globally! 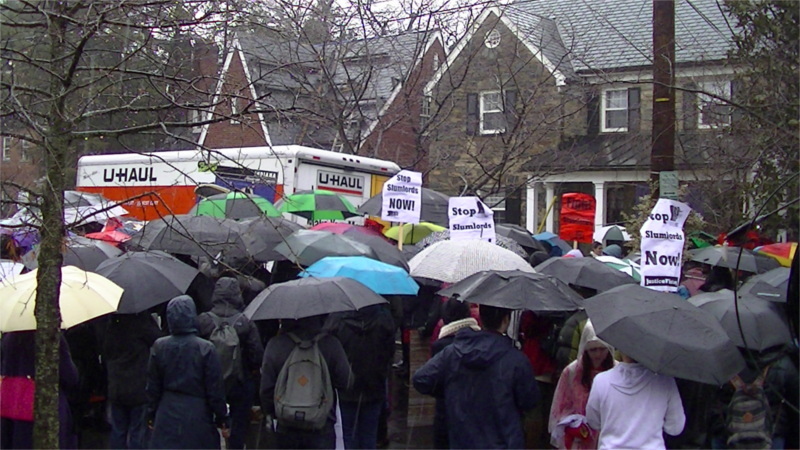 On the 10th of February, notorious "City Parners" slumlord Geoff Griffis received another protest at his Cleveland Park home over his ongoing efforts to force out the tenants of Congress Heights. Geoff Griffis' partner Sanford Capitol is attempting to duck a court order that the Congress Heights apartments not be sold to anyone other than a developer chosen by the tenants by transferring their interest to him. The Shortwave Report 02/09/18 Listen Globally! Read more about The Shortwave Report 02/09/18 Listen Globally! 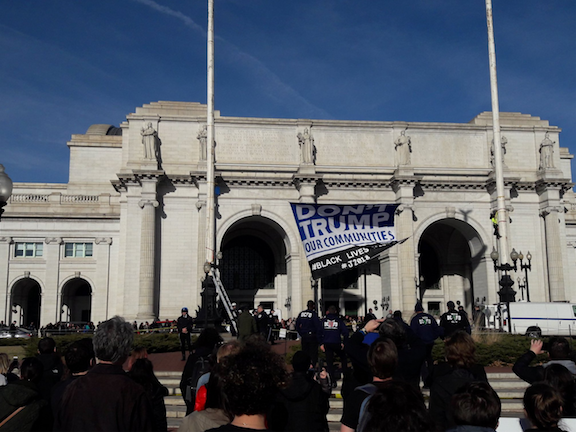 On Thursday, the 8th of February, Pentagon spokeswoman Dana White said of Trump's grand miitary parade "We don’t know that it will be in Washington." If the parade does avoid DC or gets cancelled, that will be a major win for DC government officials who declared the DC government would not close for the parade as they do for an inauguration. 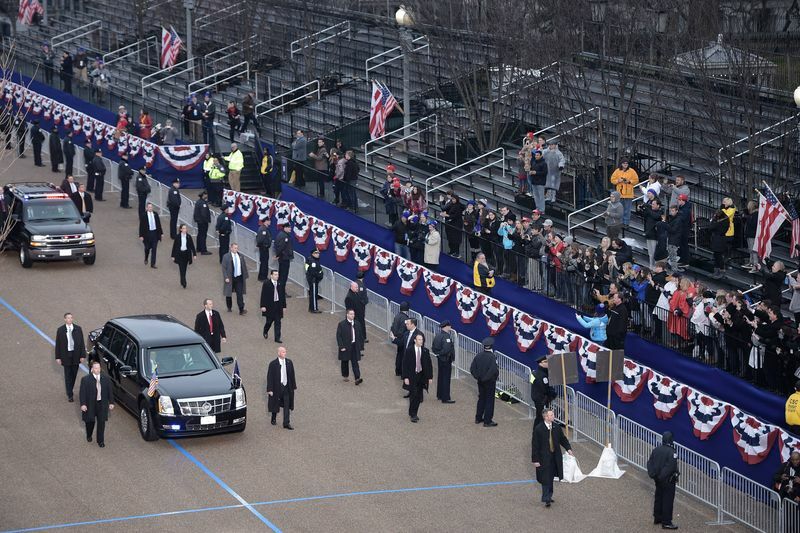 Such a parade in DC could be "another J20" for Trump as protesters swarm the streets and he parades again before empty bleachers. Feb 5, 2018 was national Transit Equity Day. Here in DC, activists from several organizations stood between the doors of the Wilson Building and councilmember Jack Evan's parked car. 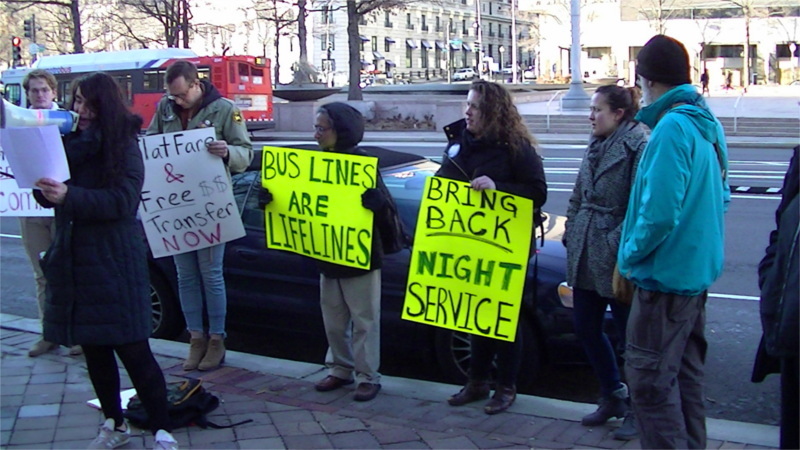 Yes, the car he drives as WMATA board chairman instead of using Metro Center (across the street) was parked almost directly in line with the doorway to the Wilson Building, providing the perfect stage for transit advocates. The protest ran 4-5PM, as he normally leaves at about 4:30PM-but today Jack Evans refused to appear.